There are stickers on 18 keys. The rainbow ribbon cable is very long. 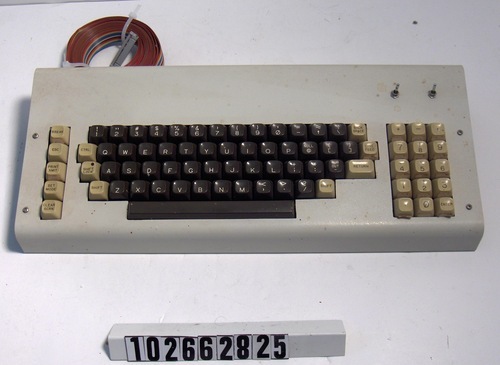 There are custom modification made to this kit-based keyboard. Two switches and associated wiring have been added. The external connector has been modified to support the ribbon cable that is currently attached to the keyboard.